Norm Pearson’s extensive trial experience in both state, federal, and administrative courts relates primarily to representation of employers in workers’ compensation matters, defendants in personal injury and premises liability matters, and physicians in professional negligence cases. Mr. Pearson was appointed as a Special Assistant Attorney General for the State of Georgia for workers’ compensation defense. 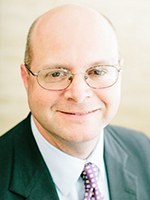 His practice further includes general insurance defense, creditor bankruptcy, and defending property tax appeals. From January 1995 to March 2001, Mr. Pearson served on active duty in the United States Army as a member of the Judge Advocate General’s Corps. Mr. Pearson was admitted to the State Bar of Virginia in 1994 and to the State Bar of Georgia in 2001. He is admitted to practice in the United States Court of Appeals for the Fourth Circuit, the United States Court of Appeals for the Eleventh Circuit, the United States Court of Appeals for the Armed Forces, the United States District Courts for the Northern, Middle and Southern Districts of Georgia, the Georgia Supreme Court, the Georgia Court of Appeals, and in the State and Superior Courts of Georgia. Mr. Pearson received a B.A. from the University of Virginia (1991) and a J.D. from the University of Richmond’s T. C. Williams School of Law (1994). Mr. Pearson is an active member of the Macon Bar Association, Georgia Defense Lawyers Association and the Defense Research Institute. Mr. Pearson has been a presenter at several workers’ compensation seminars for employers and physician groups.